That is a bold statement to make in any profession in any city. The Lighthouse opened in 2014 and has established itself as a mainstay of Oxford nightlife. This former traditional canal pub now boasts a bar which serves some of the best cocktails in Oxford. First and foremost to making a good cocktail is the master mixer, the mixologist supreme, the purveyor of spirits, indeed the cocktail bartender. The key to any good mixed drink is the individual behind the mix. This individual must have the requisite knowledge to know which ingredients to mix and sufficient experience to know the manner in which to mix the ingredients. This individual must have the patience to steadily stir a mix for minutes on end and the verve to vigorously shake another mix for just right amount of dilution. You can find this individual mixing cocktails behind our bar at The Lighthouse in Oxford. Our well trained bar team work with a bar well stocked full of fantastic ingredients used in the mixing of our delicious cocktail list. The freshest of fruits and herbs locally sourced from the Oxford covered market make up the base of so many of our cocktails. Premium spirits and exotic bitters line our back bar.All cocktails must come beautifully presented and at The Lighthouse we have an array of glassware used to enhance our guests drinking experience. All this and more still is what makes a great cocktail. Put simply: the people. Great people make a great bar. That is certainly true for the people who work behind the Lighthouse bar. Our bar staff are welcoming and attentive to all our great guests. Our service is not just about bar knowledge, but also about our guest’s experience in our lovely space in Oxford. We aim to ensure that every guest leaves with a smile on their face, surely this must be the best way to gauge an individual’s experience in any cocktail bar. Everything that happens between a guest walking in through our doors to them walking out is part of the experience. Our bar team is there to cater to our guest’s experience of delicious cocktails and friendly service. So what makes a great bar? Great people mixing delicious cocktails for other great people in a lovely place with a friendly atmosphere. Sounds like The Lighthouse in Oxford. What makes The Lighthouse one of the best cocktail bars in Oxford? Our bar team. Our fresh ingredients. Our premium brands. Our unique cocktail menu. Our vast selection of glassware. Our Daily Happy Hours. Our delicious tapas menu. The list could go on. But please don’t take our word for it, pop into the Lighthouse for a cocktail next time you are in Oxford city centre and decide for yourself. Featured Cocktail: Espresso Martini - a firm favourite of many Lighthouse guests. After a long day at one of the many offices in Oxford’s West End, a vodka-based vanilla-infused espresso cocktail is the perfect pick me up! Our bar team can even make you a variant of this famous cocktail, just ask one of our bartenders. Featured Cocktail: Blonde Cosmopolitan. Cocktails are about mixing the best ingredients with the right measures to satisfy the tastebuds of the drinking patron. At the Lighthouse we like to inject a bit of flair into our mixology art. A bit of sparkle, a bit of shine, it all goes towards making some of the most delicious cocktails in Oxford. The Lighthouse boasts some of the most unique cocktails in Oxford. More than half of the cocktails on our menu of 50 mixed drinks are creations of our bar team. Serving some of the finest cocktails in Oxford city centre, the Lighthouse is one of Oxford’s best cocktail bars. Our bartenders are passionate about drinks while our bar is replete with fresh ingredients and prestige spirits. The Lighthouse in Oxford serves a variety of cocktails. Classics like the Mojito or Old Fashioned, martini mixes such as the Cosmopolitan or Madrid Sour and much more. If there’s a particular cocktail you like, please do enquire with one of our bartenders, we just may be able to help. Featured Cocktail: Hot Toddy. The Lighthouse cocktail list features tipples for all seasons. Fancy a warming Hot Toddy over the chilly Christmas period? Or a refreshing Watermelon Crush in the sweltering summer heat? Our bartenders have got you covered. 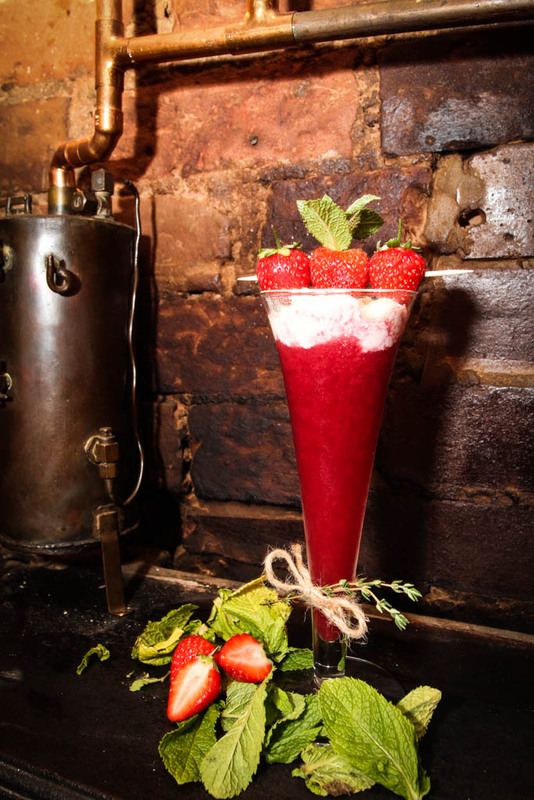 Pop into the Lighthouse for one of the most unique cocktail experiences in Oxford’s city centre. Delectable cocktails in an independent, characterful Oxford pub. The Lighthouse offers one of the most extensive cocktail menus in Oxford city centre. Our bar team is able to prepare drinks for many tastes. At the Lighthouse we feel we work at one of the best bars in Oxford. Why do we feel so strongly? Because we have some of the best bar staff mixing some great cocktails. Cocktails in jam jars. At the Lighthouse in Oxford we serve our delicious cocktails in some exquisite glassware. Mixing cocktails takes precision and attention. Each mix on our cocktail list requires an array of ingredients from spirits and fruits to syrups and bitters and much more than that. The Lighthouse cocktails are made for you to savour. So please sit back and enjoy our lovely little cocktail bar in Oxford. Conversation and cocktails. That is what Happy Hours are for at the Lighthouse in Oxford. Our cocktail list discounts two cocktails bought together every day between 5pm and 8pm. Perfect way to catch up with friends and colleagues. The Lighthouse features daily Happy Hours between 5pm and 8pm. That’s a huge 40% off two cocktails (can be different) bought together. Fresh ingredients are ideal for cooking, the same is true for mixology. 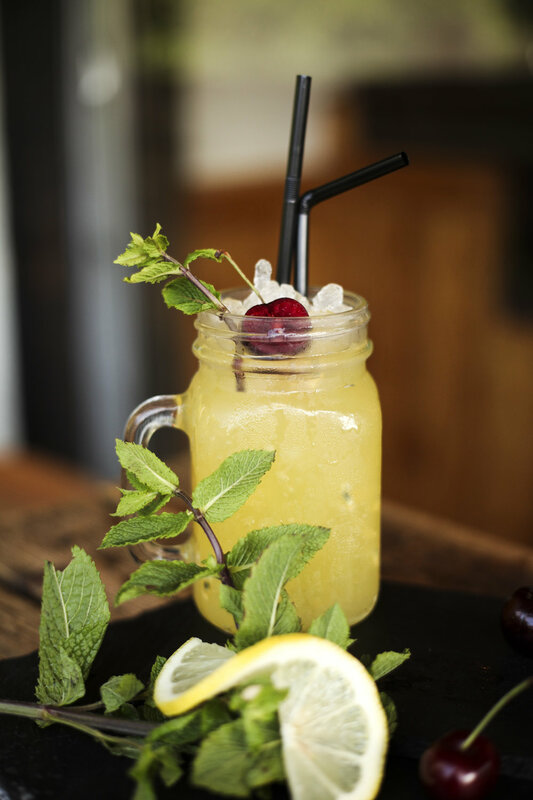 When mixing our cocktails at the Lighthouse, we like to use fresh fruits and herbs sourced from Oxford covered market. Our commitment to fresh ingredients marks the Lighthouse out as amongst the best cocktail bars in Oxford. The Lighthouse features plenty of artwork. We like to encourage our guests to explore our features, each is there for a nautical reason. Featured Cocktail: Dirty Toad Martini. There has been an explosion of Gin recently. Craft gin, pink gin, champagne gin, the list could go on. Oxford though, hosts a distillery in Headington called “The Oxford Artisan Distillery” or by its acronym “TOAD”. The Lighthouse is proud to serve Toad Gin over our bar. Featured Cocktail: Dry Belvedere Martini. They say the best way to ascertain the quality of a bar is to order a vodka martini. The glassware used to serve this simple cocktail will tell you much about the bar’s image; while the quality of spirit used in this most pure of cocktails will tell you of its substance. Featured Cocktail: Whiskey Sours. One can feel right at home when reading a book at the Lighthouse. Especially with one of Oxford’s most extensive cocktail lists to keep one company.